Disease and Democracy is the first comparative analysis of how Western democratic nations have coped with AIDS. Peter Baldwin's exploration of divergent approaches to the epidemic in the United States and several European nations is a springboard for a wide-ranging and sophisticated historical analysis of public health practices and policies. In addition to his comprehensive presentation of information on approaches to AIDS, Baldwin's authoritative book provides a new perspective on our most enduring political dilemma: how to reconcile individual liberty with the safety of the community. Baldwin finds that Western democratic nations have adopted much more varied approaches to AIDS than is commonly recognized. He situates the range of responses to AIDS within the span of past attempts to control contagious disease and discovers the crucial role that history has played in developing these various approaches. 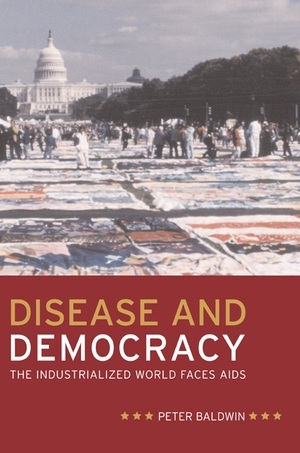 Baldwin finds that the various tactics adopted to fight AIDS have sprung largely from those adopted against the classic epidemic diseases of the nineteenth century—especially cholera—and that they reflect the long institutional memories embodied in public health institutions. Peter Baldwin is Professor of History at the University of California, Los Angeles. Among his books are Contagion and the State in Europe, 1830-1930 (1999) and The Politics of Social Solidarity: Class Bases of the European Welfare State, 1875-1975 (1990).